Four months ago, McLaren Greater Lansing broke ground on a $450 million hospital that will transform the future of health care in our region. 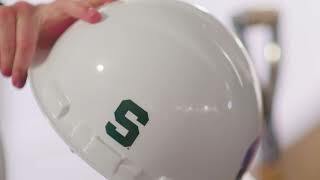 As Norman Beauchamp, MSU Associate Provost for Human Health Affairs says, the connection with Michigan State University will create innovative ways to partner on the delivery of care, the education of future health care professionals, and clinical research programs. Heart attack symptoms and risks is discussed by Interventional Cardiologist, B. Ramesh Reddy, M.D. B. Ramesh Reddy, M.D., interventional cardiologist, discusses treatment options for restoring blood flow to the heart muscle following a heart attack and how a patient's outcome is connected to the time the procedure takes. 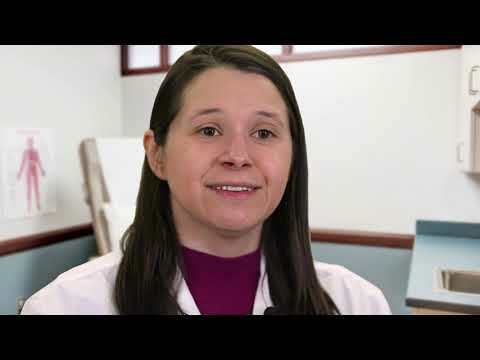 McLaren Port Huron 's Bariatric Center of Michigan patient Suzie talks about her relief from acid reflux and her experience and weight loss following bariatric surgery at McLaren Port Huron. McLaren Port Huron patient, Raymond Peltier, of Port Huron, Michigan, talks about his experience and results following bronchial thermoplasty for his chronic asthma condition. Michael Basha, DO, Pulmonary and Critical Care Specialist, discusses the causes and risks of COPD conditions emphysema and chronic bronchitis. COPD diagnosis and advanced treatment options is discussed by board certified pulmonary specialist, Michael Basha, DO. Michael Basha, DO, Pulmonary and Critical Care Specialist, gives an overview of asthma causes, symptoms and management. The future of health care in mid-Michigan is closer than ever. We broke ground on our new $450 million hospital just over three months ago, and big changes are happening at the corner of Forest and Collins roads. The new health care campus is the largest investment McLaren Health Care has ever made, and we are proud to be redesigning the future of health care for generations to come. 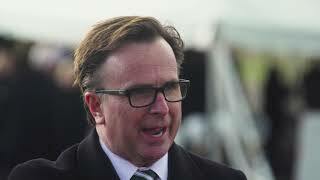 Watch the video to hear more from McLaren Health Care President/CEO Phil Incarnati. McLaren Port Huron patient, Sheryl Horan, talks about living with advanced COPD - chronic bronchitis, her treatment experience with lung transplant. 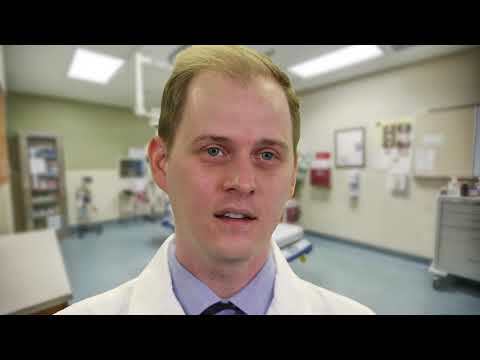 Infectious Disease specialist, Dr. John Brooks, talks about Sepsis prevention, treatment and McLaren Port Huron's success in treating and preventing sepsis. Jennifer LaMay, Sepsis Excellence Team lead at McLaren Port Huron, discusses team activities and success in preventing and treating Sepsis. Debbie Standish talks about her relief from pain and experience before and after anterior hip joint replacement surgery with hip surgeon Leonard Karadimas, D.O. Leonard Karadimas, D.O., orthopedic surgeon with McLaren Port Huron Advanced Orthopedics, talks about diagnosis and non-surgical treatment options for hip pain from arthritis. Courtesy of the American Heart Association While living with none of the traditional risk factors, Paulette began experiencing symptoms that would lead to her suffering a near-fatal heart attack one morning. 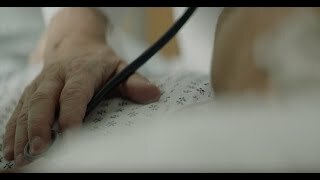 She didn’t know that women can experience different heart attack symptoms. Thankfully, McLaren Macomb interventional cardiologist Dr. Blair DeYoung was there to save her life. 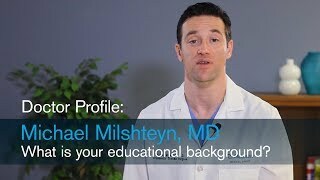 McLaren Macomb orthopedic trauma surgeon, Dr. Michael Milshteyn introduces himself, shares his educational background and his philosophy to individualized patient care. Do you wonder if you would qualify as a candidate for bariatric surgery? Do you know what surgical options are available? McLaren Macomb general and bariatric surgeon, Dr. Michael D'Almeida answers these common weight loss surgery questions. Do you know what preparations to take the day before bariatric surgery? Find out how much pain can be expected after bariatric surgery and insight into how an incision heals. McLaren Macomb general and bariatric surgeon, Dr. Michael D'Almeida, answers these common weight loss surgery questions. Could bariatric surgery resolve a long time medical condition you've been suffering from? Learn about the surprising medical benefits of bariatric surgery. McLaren Macomb general and bariatric surgeon, Dr. Michael D'Almeida, shares a list of medically treated diseases that are eliminated or greatly improved by weight loss surgery. Surgeon Karen McFarlane, M.D., discusses Crohn's Disease symptoms and treatment options at McLaren Port Huron. 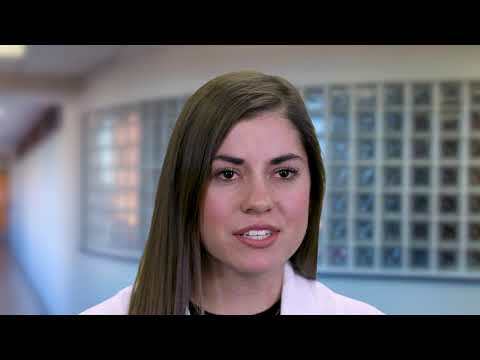 Colitis symptoms and advanced treatment options are discussed in this video segment with general surgeon, Karen McFarlane, M.D. Karen McFarlane, M.D., general surgeon, talks about the symptoms, risks and treatment options for the intestinal conditions diverticulosis and diverticulitis. Oncologist Samir Alsawah, MD, gives an overview of lung cancer including risk factors and symptoms. McLaren Macomb board-certified physician, Dr. Hassan Baydoun, explains what a rheumatologist is and talks of the care he gives to stay true to his patient philosophy. McLaren Macomb board certified general surgeon, Dr. Michael D'Almeida introduces himself, shares his educational background, bariatric surgery experience and the significance of being board certified. McLaren Macomb board-certified physician, Dr. Hassan Baydoun, shares a personal story of a sick friend and how it impacted his decision to become a rheumatologist. Dr. Anthony Cucchi, McLaren Macomb board-certified orthopedic spine surgeon, shares the process doctors go through to obtain their board certifications. Dr. Anthony Cucchi, McLaren Macomb board-certified orthopedic spine surgeon, speaks about the extent of his medical education and the community he serves. Dr. Anthony Cucchi, McLaren Macomb board-certified orthopedic spine surgeon, explains how minimally invasive surgery is approached. Dr. Anthony Cucchi, McLaren Macomb board-certified orthopedic spine surgeon, discusses the steps taken before he recommends spine surgery to his patients. Board Certified Urologist, Glenn Betrus, MD., discusses surgical treatment options for prostate cancer including minimally invasive da Vinci robotic-assisted laparoscopic surgery. Dr. Anthony Cucchi, McLaren Macomb board-certified orthopedic spine surgeon, shares why he became a spine surgeon and how it's impacted him. Timely, important steps to take to minimize heart damage during a heart attack with board certified interventional cardiologist, B. Ramesh Reddy, M.D. B. Ramesh Reddy, M.D., interventional cardiologist, discusses the use of protected Percutaneous Coronary Intervention with the Impella® heart pump for heart attack patients at McLaren Port Huron. 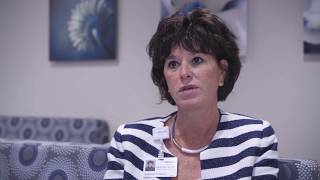 Shoulder Surgery Patient Evelyn Landacre talks about her relief from shoulder pain and ability to do favorite activities following shoulder surgery with orthopedic surgeon, Timothy Lukas, MD. Orthopedic Surgeon Timothy Lukas, M.D., talks about the surgical treatment options for rotator cuff issues. Amanda Hurtubise, M.D., OB/GYN, gives an overview bioidentical and tradidtional treatments for menopause symtpoms. Stacy Ries, DO, Diagnostic Radiologist, discusses breast cancer screening recommendations and the advanced breast imaging technology available at McLaren Port Huron. Celebrating the opening of Karmanos Cancer Institute and McLaren Oakland in 2018. 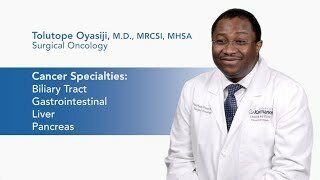 Tolutope Oyasiji, M.D, member of the Breast, Gastrointestinal and Melanoma Oncology Multidisciplinary Teams at the Barbara Ann Karmanos Cancer Institute. 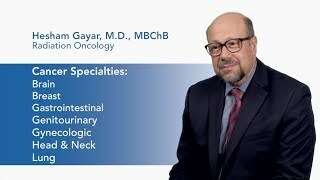 Hesham Gayar, M.D., MBChB, chairman of Radiation Oncology at Karmanos Cancer Institute at McLaren Flint and a member of the Genitourinary Multidisciplinary Team at the Barbara Ann Karmanos Cancer Institute.